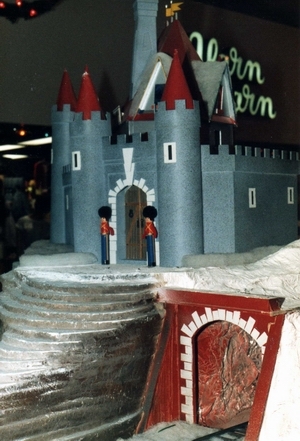 A "PALYWAG" is a Brinkworth Models creation, in the form of a small elf like creature that we manufactured ourselves. 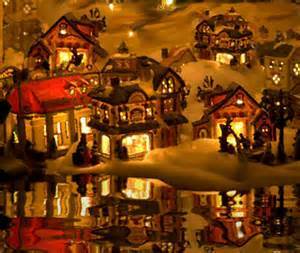 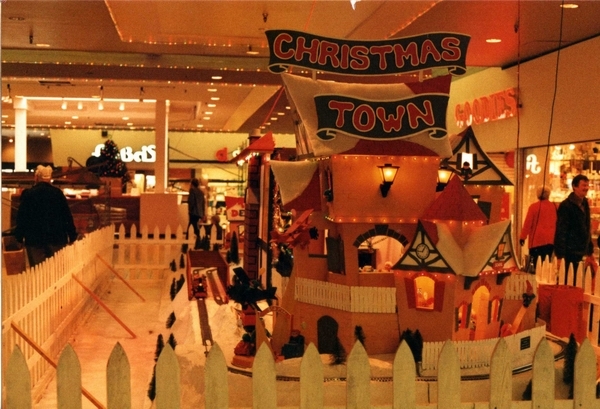 They inhabit most of our Christmas displays. 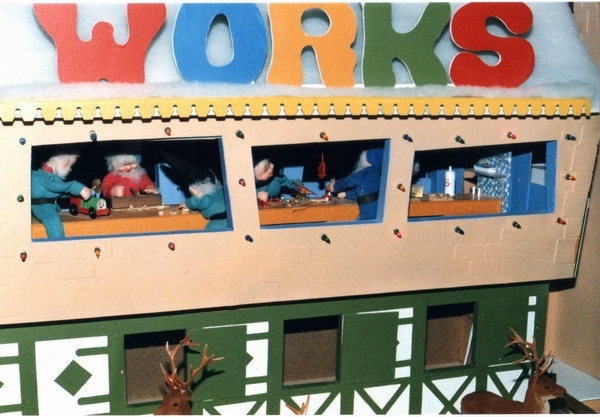 The palywags above, working in the Toy Works, are mechanically operated, and are all moving continually with hammers and brushes etc, producing the various Christmas toys. 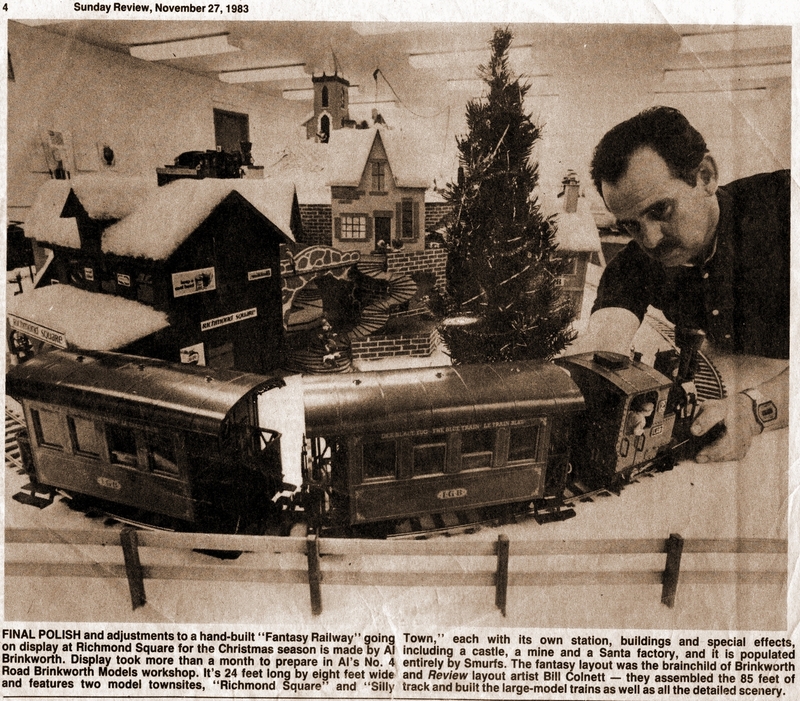 Trains continually run from one town center to the other along a 24 foot long, "dog bone" looped railway track. 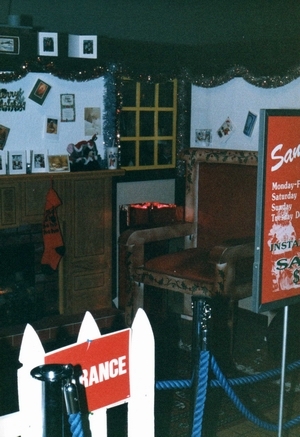 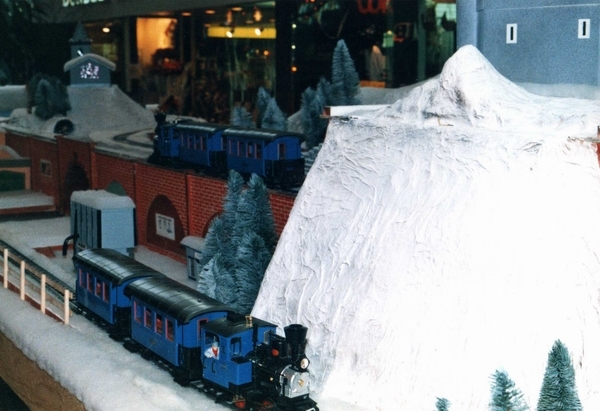 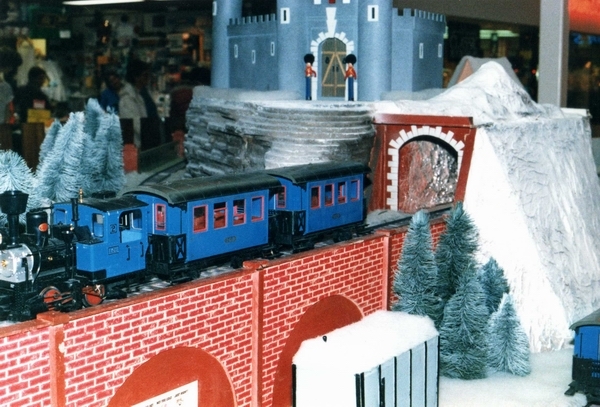 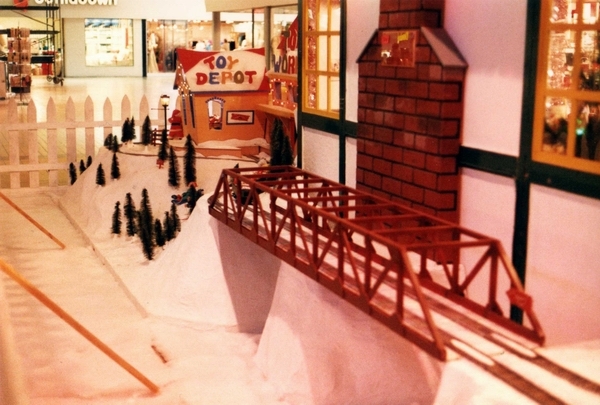 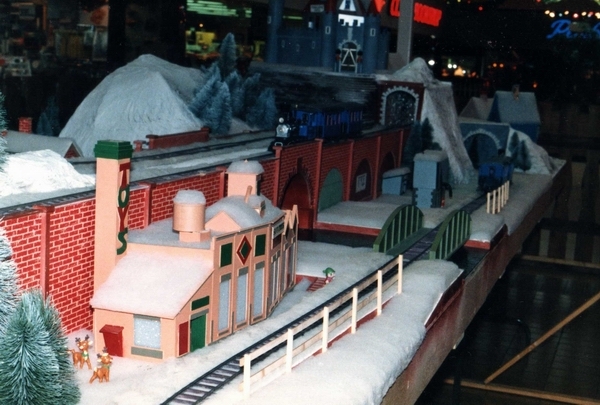 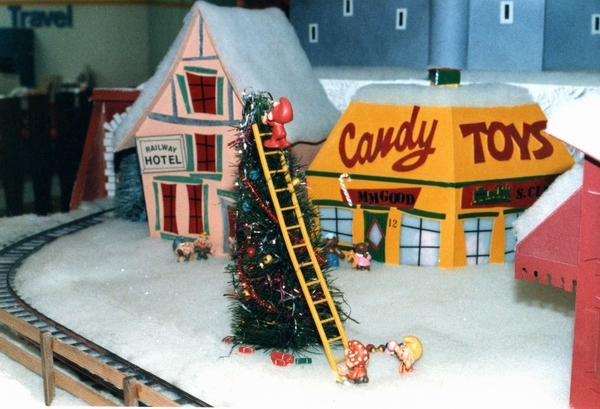 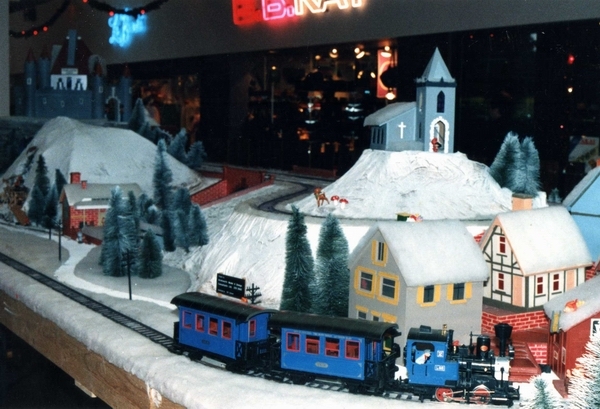 An 8 foot long railway bridge (below left), running along the back of the Santa House allows the train to run continually. 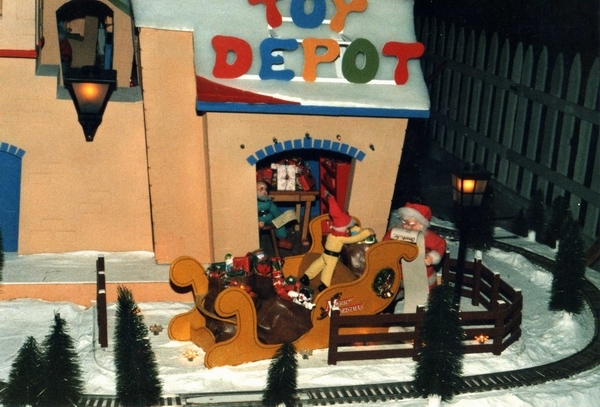 Smurfs dress the large Christmas Tree, at the side of the railway tracks Santa's Living room with fireplace and chair for the "Photo's with Santa"